2 hour session is $165.00. Gabriel Azoulay is a wor ld renowned therapist, teacher and developer seeking to shatter perception, while empowering individuals with choices and information that they can use for the rest of their lives. His teachings are full of humor, simplicity and insight, connecting the ancient with the modern, the esoteric with the rational. As an international writer on yoga and Thai Massage, his articles have appeared in Sports Illustrated for Women, YOGA UK, Fit Yoga and more. 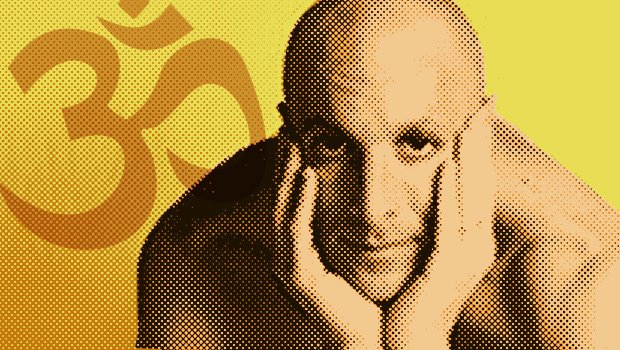 Gabriel is a published author, instructor, yoga consultant and Thai Massage therapist. He is a graduate of the acclaimed Institute for Integrative Nutrition in NYC. He is originally from Israel and now resides in Finland. About Gabriel: In 2004, he set out to study with the famous Thai Massage Master Pichest Boonthume (http://www.pichestthaimassage.com/index.php). The true practice of the art of healing in traditional Thai massage is the compassionate intent of the healer. The Buddhist spiritual practices associated with Thai massage cultivate humility, awareness, and concentration in the healer designed to bring the practitioner to a deeper level of awareness of herself and the client. This compassionate state of being is termed “metta”, which usually translates as “loving kindness”. During a private session, the receiver may be positioned in a variety of yoga-like positions during the course of the massage, but deep static and rhythmic pressures form the core of the massage. The practitioner leans on the recipient’s body using hands and usually straight forearms locked at the elbow to apply firm rhythmic pressure. The massage generally follows the Sen lines on the body—somewhat analogous to meridians and channels. Legs and feet of the giver can be used to fixate the body or limbs of the recipient. In other positions, hands fixate the body, while the feet do the massaging action. A full Thai massage session typically lasts two hours or more, and includes rhythmic pressing and stretching of the entire body; this may include pulling fingers, toes, ears, cracking the knuckles, walking on the recipient’s back, and arching the recipient into cobra position. There is a standard procedure and rhythm to the massage, which the practitioner will adjust to fit each individual client. Here are video’s featuring Gabriel’s Thai Yoga Massage. To schedule Thai Yoga Massage with Gabriel please indicate one-hour session is $95.00, o1.5 -hour session is $135.00 and 2 hour session is $165.00.